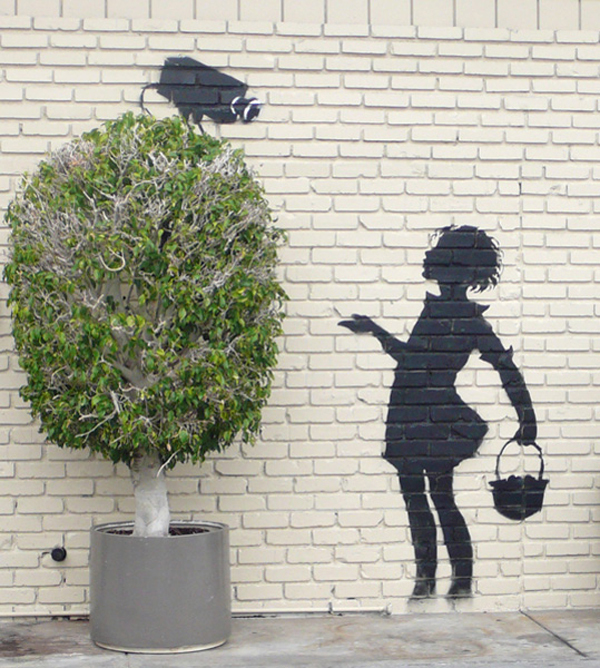 Banksy is iconoclastic. It’s hard not to see a work of graffiti done in stencil and not think of him, and that’s saying a lot. His work is simple and it is his daring and perfect wit that has made him famous, and known to many of you. We love him for making us stop, or making us laugh at some of life’s grim realities that we often ignore. i think the little girl frisking the army guy is cute! Your welcome. It’s fun recognizing such great talent. Great to see.I live in New Orleans and have seen some of those!…Thanks for collection. A brilliant collection. Banksy is a true legend. His book ‘Wall And Piece’ is also great. These artworks are amazing. I liked the one of the boy riding the crack on the wall.